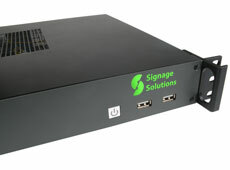 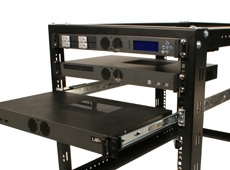 1U modular rackmount case with interchangeable faceplates allowing easy upgrades and customization. 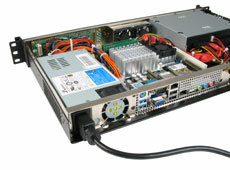 Form follows function with a variety of options for reconfiguring the base chassis. 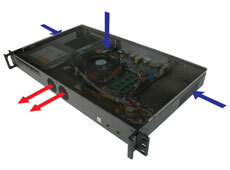 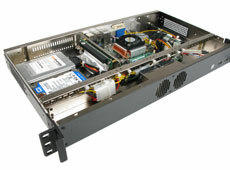 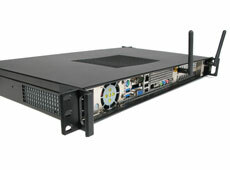 With Logic Supply's Flexplate design, the MK100 can be reconfigured on-the-fly to accommodate a front-panel hot-swap bay supporting four 2.5" hard drives for network-attached storage or hot-spare RAID arrays, an LCD with multifunction buttons for headless nodes, or a slimline optical drive. 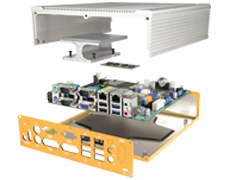 Two expansion slots allow for the integration of additional networking cards or video capture devices, and interchangeable backplate inserts can be custom-cut and screen-printed for I/O labels in project installations. 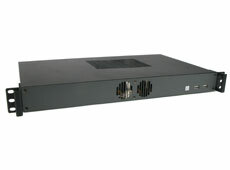 Providing maximum flexibility for applications ranging from firewalls to automotive surveillance systems, the MK100 is designed to accommodate a variety of power supplies.  DC/DC PicoPSUs and a 250-watt Flex-ATX AC/DC power supply support global standards for 120-250 VAC at 50~60 Hz, while automotive power supplies such as the M2-ATX or DCDC-USB feature 6~30 V wide DC input and ignition-sensing capabilities for vehicular applications.